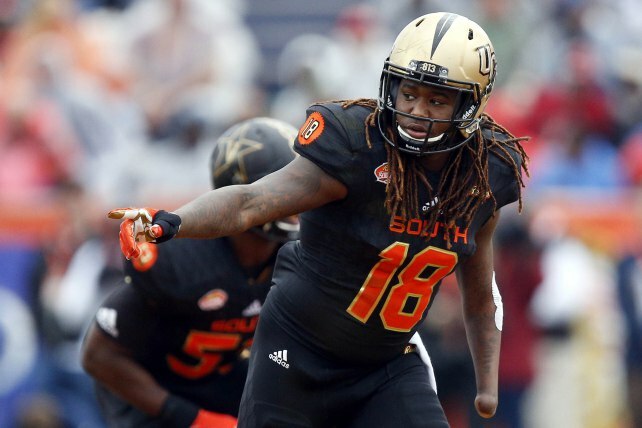 (by Mark W. Sanchez, NY Post, March 4) – If and when Shaquem Griffin gets drafted, it won’t be out of pity. 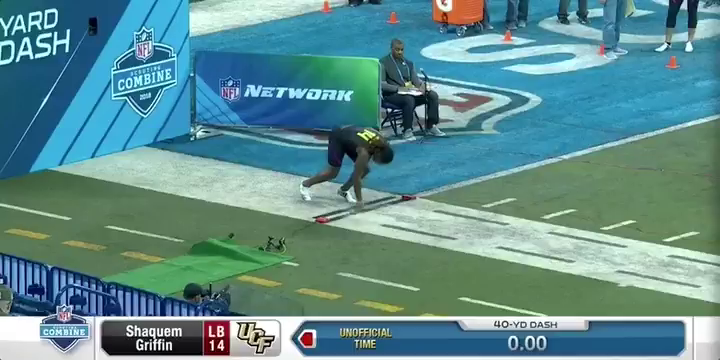 The linebacker out of Central Florida, a day after impressing both himself and NFL teams by pumping 20 reps on the bench press at 225 pounds — with a prosthetic hand — ran the fastest time of the day in the 40-yard dash. And now Griffin, who was born with a deformed left hand that was amputated when he was 4, is showing how else he can compensate on the football field. (by Anthony Barstow, NY Post, March 3) – Shaquem Griffin wants to make history. His performance at the NFL Scouting Combine on Saturday was just a taste. The Central Florida linebacker is looking to become the first one-handed player to be drafted into the league in the modern era. He won’t know for almost two months whether he will accomplish that goal, but he definitely made teams sit up and take notice with his combine performance. Wearing a prosthetic attached to his left arm, Griffin did 20 reps on the bench press at 225 pounds, all to the loudest cheers of the day from a raucous crowd excited to witness the feat. Griffin’s left hand was amputated when he was 4 years old as a result of a congenital condition. Despite the handicap, he was a two-year starter at Central Florida, earning two selections to the All-American Athletic Conference first team. He also was named AAC Defensive Player of the Year in 2016, when he amassed 92 tackles, 11.5 sacks, two forced fumbles and an interception. The 6-foot, 227-pound defenseman, whose twin brother is a cornerback for the Seahawks, said he plans to do DB drills and linebacker drills at the combine, but when speaking to the press, Griffin offered his services at any position an NFL team needs him. And that applies to more than just defense. It seems unlikely any team will take him as a kicker, but as an addition to an NFL defense, Griffin’s 20 reps on the bench press may be enough of a calling card to earn a shot. 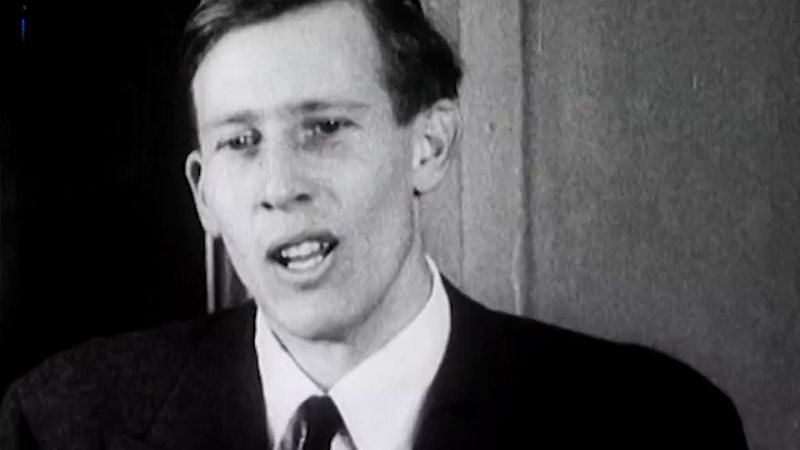 (by Allen Cone, UPI .com, March 4) — Roger Bannister, the first person to run a mile in under four minutes — a test of speed and endurance that was one of the defining sports achievements of the 20th century — died Saturday in Britain, his family confirmed. He was 88. 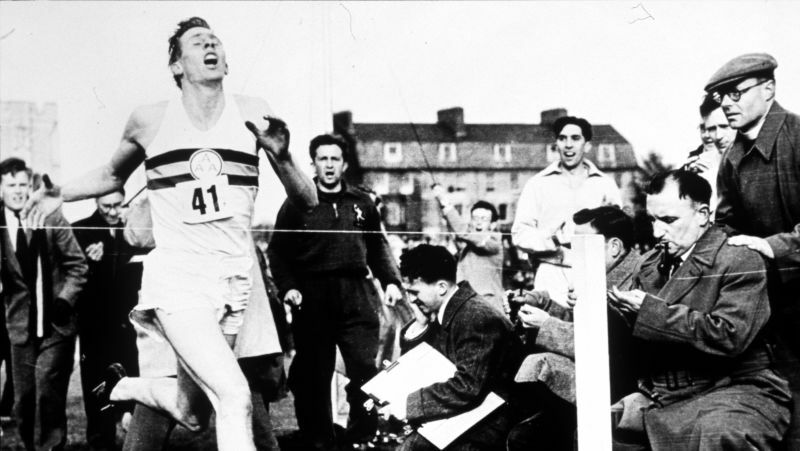 Bannister, who had Parkinson’s disease since 2011, died in Oxford, where the runner achieved the feat in 1954. Chris Brasher set the pace a first lap in 57.5 seconds, then 60.7 in the second lap for 1:58.2 for the half mile. Chris Chataway, a distance specialist, ran a third lap of 62.3 — 3:00.4. To set the record, Bannister would need to run the final lap in 59 seconds. “The world seemed to stand still, or did not exist,” he wrote in his book, The First Four Minutes. Bannister didn’t fully appreciate the significance of his achievement until reading the newspapers the next day. “It had become rather like Everest, a challenge for the human spirit,” Bannister reflected on the significance of his own achievement. 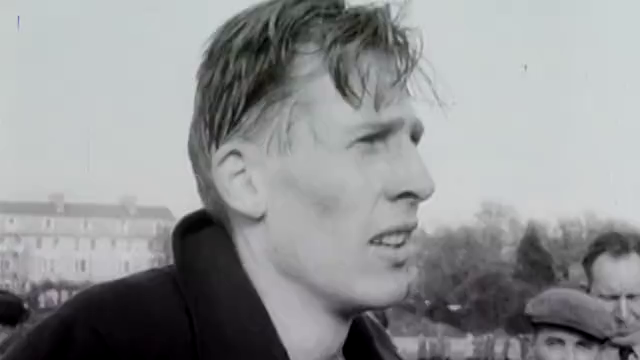 Bannister was chosen as Sports Illustrated’s first Sportsman of the Year in 1954. Moroccan Hicham El Guerrouj is the current mile record holder with a time of 3:43.13 in Rome on July 7, 1999. No woman has ever run the mile in less than four minutes.